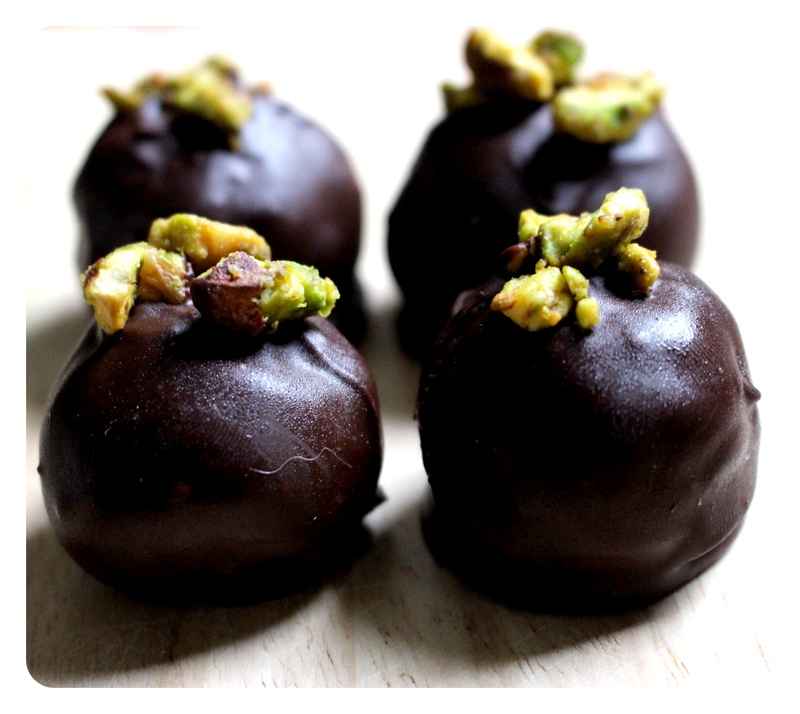 These are my favourite of all my recipes for chocolates. They look so pretty and delicate and they taste incredible. 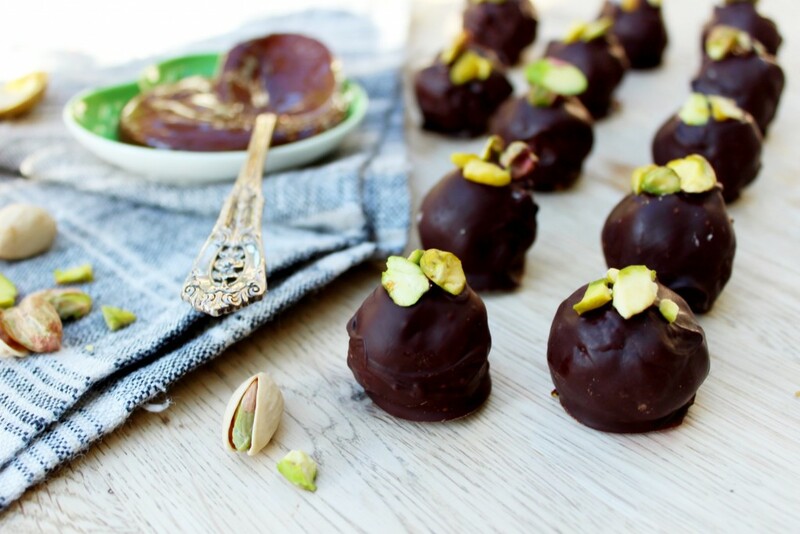 They’d make a gorgeous after dinner treat at a dinner party, not that you need an excuse to eat them- they could be yours in just a few minutes! 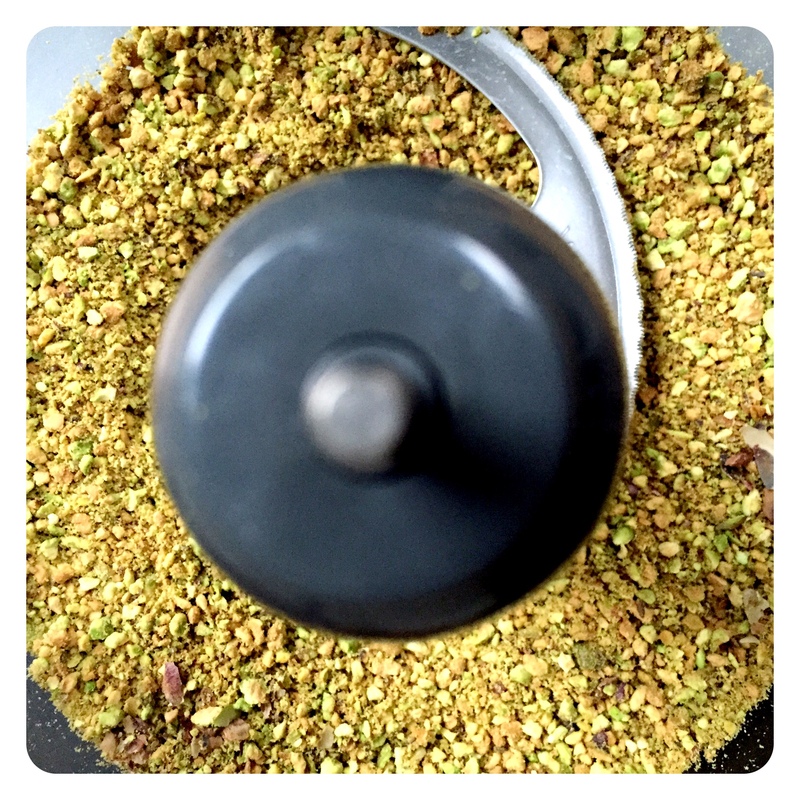 Dry roast the pistachios at 180’C for about 10 minutes. Then add them to your food processor and blitz on high until you have a bright green chunky powder. Drizzle in the coconut oil and honey/maple syrup and a pinch of salt and blitz on high for a full 90 seconds. Even if you think it’s done before this just keep going for the full time, this will help release all the oils from the pistachios and make it easier to form into balls. When you’re done, melt your chocolate. 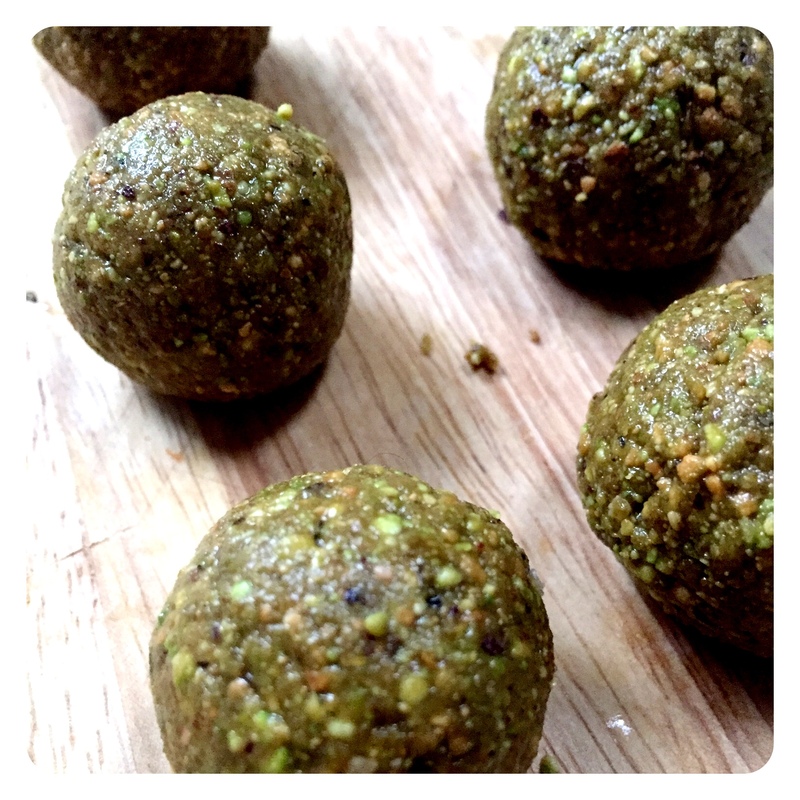 Squeeze and roll the mixture into little balls, if it feels too bitty just squeeze it tightly together before rolling into a ball. 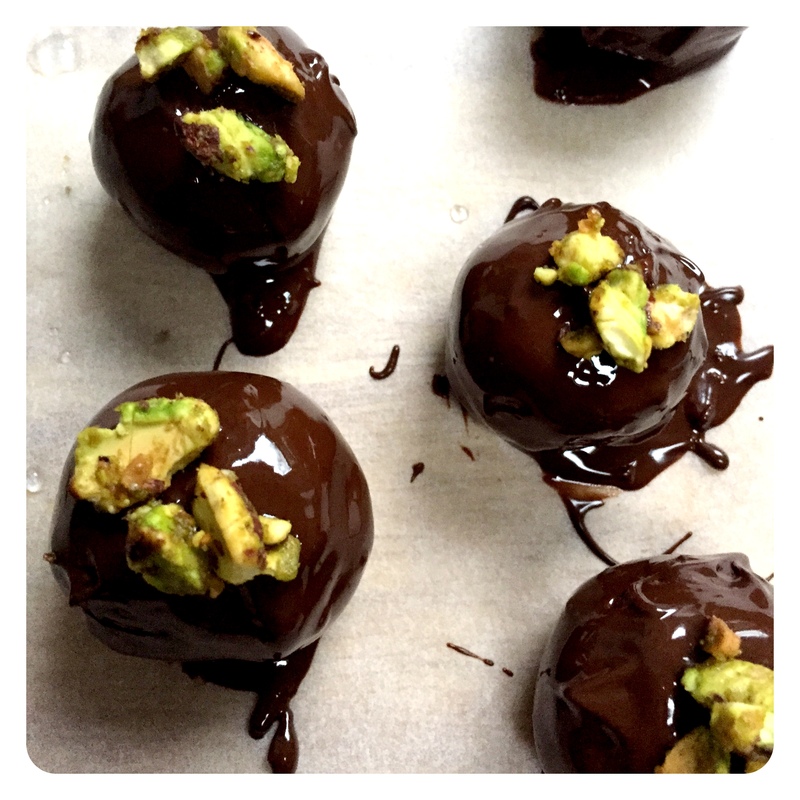 Dip each one into the chocolate, shaking any excess off and let them set on a plate/board covered in parchment paper. 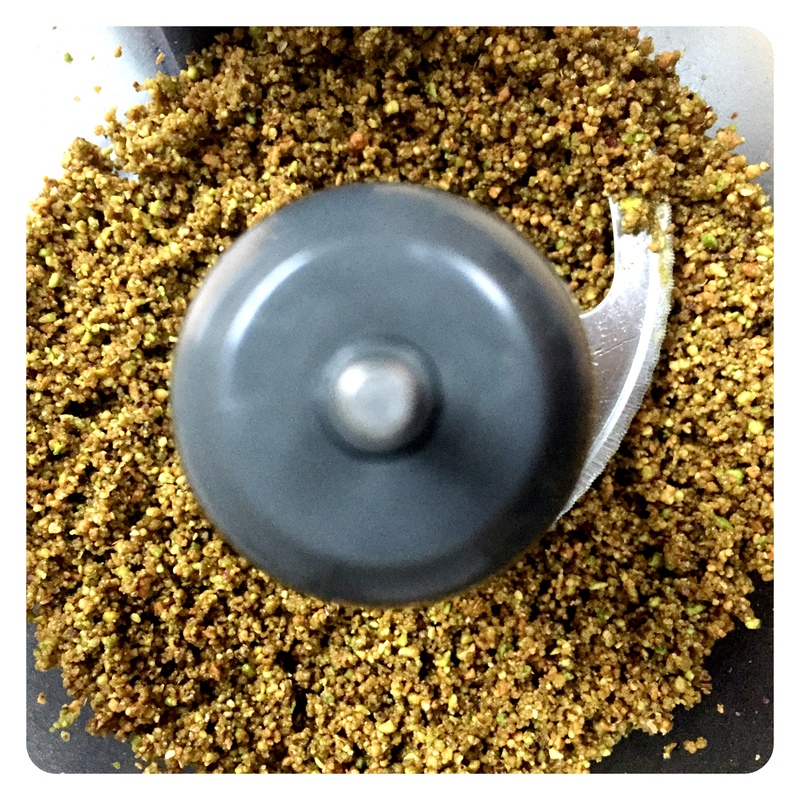 I sprinkled each of mine with some more crushed pistachios before popping them in the fridge to set. Once the chocolate has hardened, serve and enjoy! These look SO good! 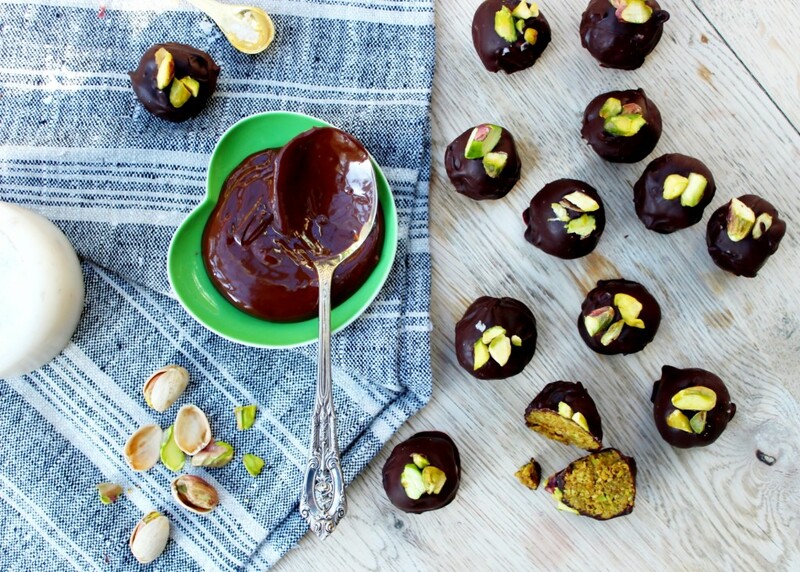 I love truffles AND pistachios!! 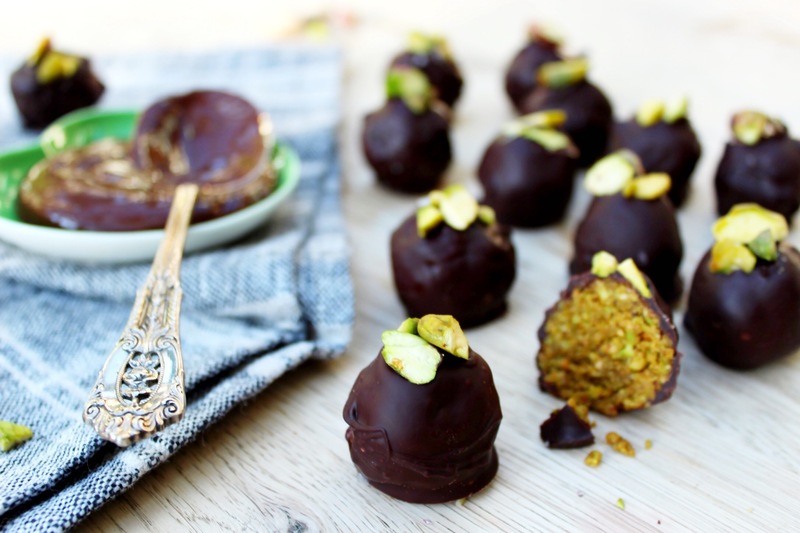 these look AMAZING… will be having a go! Awesome, hope I can try these soon!